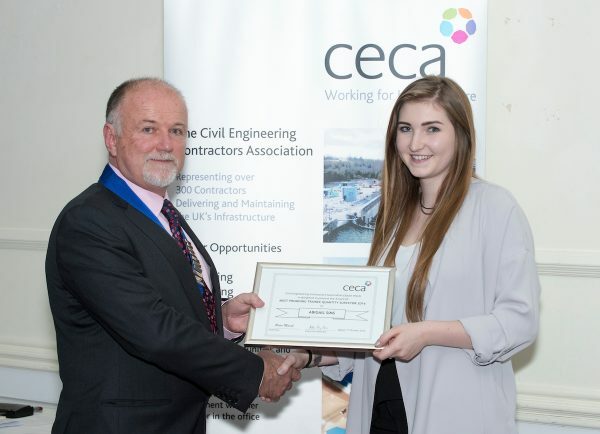 Abigail Sims, from Bristol has been named Most Promising Trainee Quantity Surveyor at the South West Training Awards run by the Civil Engineering Contractors Association (CECA). Abbie received the accolade as a result of her achievements during a placement with Griffiths in their Regional Office in Bristol. Since joining in July 2015 she has impressed everyone and quickly played a key role in the commercial team involved in the South Bristol Link project. The speed of Abbie’s progress amazed everyone, moving from cost clerk to monthly payment applications in no time, and she quickly took on the submission of Compensation Events and sub-contractor payments. In an intensive year’s placement, she was then seconded for one day a week to an even higher profile project, assisting the regional commercial manager in implementing the region’s new cost control system. 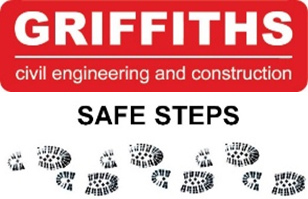 Her success led Griffiths to sponsor Abigail for the final year of her Quantity Surveying Commercial Management degree. Alan Taylor, Executive Director at CECA South West, congratulated Abbie on her achievements and Griffiths for investing in young people with such potential. He said: “Abigail is a very impressive young woman and exemplifies the talent that the South West needs to nurture if we are to optimise the significant investment in infrastructure that is earmarked for the region. Abigail received a certificate and cheque for £500 at the Awards Lunch at The Imperial Hotel, Torquay.